We don't think much about our shoulders until they start to give us pain. Most people immediately start looking for the best chiropractic care in Dickinson because they are always using their shoulders to lift and extend their arms, to carry, wave and perform numerous other motions and tasks. The shoulder is the most mobile joint in the body and as a result it is subject to a wide range of injuries and conditions. Chiropractic care is a gentle and non-invasive alternative to medications and surgeries that provides fast and effective results. Dickinson chiropractors are trained to deal with issues in the spine and the shoulder complex that result in shoulder pain. In order to determine the cause of your shoulder pain, a chiropractic treatment begins with a thorough evaluation process, using information provided from your medical history, and advanced imaging techniques. Once a correct diagnosis is achieved it will then be used to develop an individualized treatment plan that will help ensure a fast recovery. 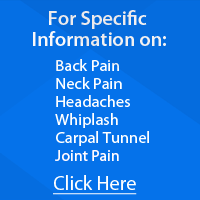 Call our team at Neck & Back Pain Treatment Center today for help.